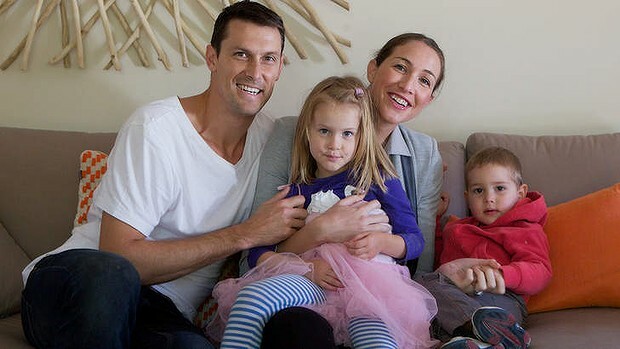 Former Olympic swimmer Elka Whalan, and her husband, Olympic water polo player Thomas, welcomed their third child on January 30 and have named their son Presley. Presley Whalan joins big sister Nevada and big brother Edison. Elka (nee Graham) competed at both the 2000 Olympics, where she won silver, and the 2004 Olympics. She won silver and bronze at the 2002 Commonwealth Games, and represented Australia at many other international swimming events. Elka retired in 2006, and now regularly appears on Channel Seven’s Morning Show, and Sunrise. She is an ambassador for Pregnant Pause, which encourages women to opt for an alcohol-free pregnancy. Thomas has competed at every Olympics since 2000, including the 2012 London Olympics. He and Elka met at the 2004 Olympics in Athens, and married in 2008. I’m not a fan of the names separately, but they form an interesting group. Yes! I thought it was a very interesting sibset.